Srikanth was trying to recapture the silken form that gave him a bunch of titles around same time last year. 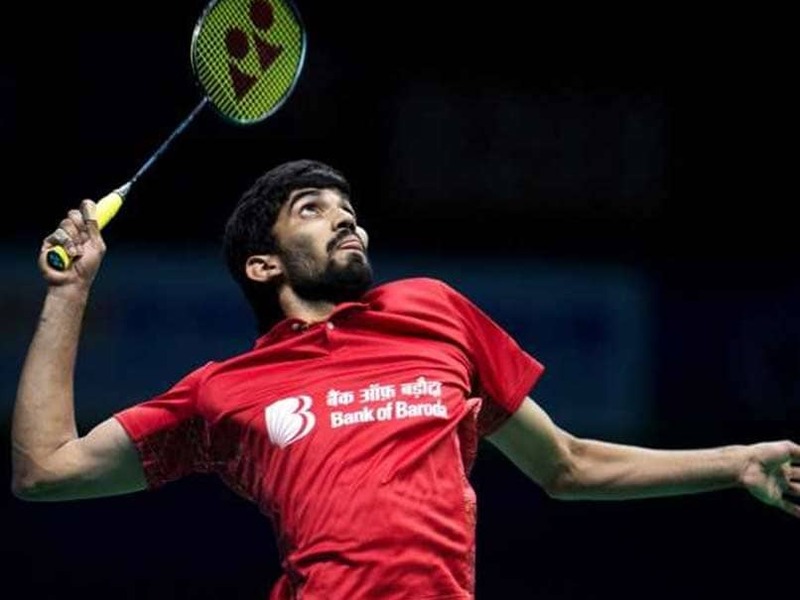 Kidambi Srikanth failed to continue his impressive run at the Malaysia Open as he failed to progress to the final after suffering a 13-21, 13-21 loss to Japan's kento Momota in the semi-final. The Indian could not keep up with the swift pace of his opponent by going down in straight games and failed to march ahead in the tournament. He had made to the semifinals of the and men's singles competition with a straight-game win in the USD 700,000 world tour super 750 tournament on Friday. 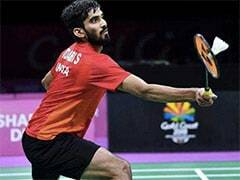 Fourth seed Srikanth, who won a silver medal at the Gold Coast Commonwealth Games, dumped world no 22 France's Brice Leverdez 21-18 21-14 in a 39-minute clash at the Axiata Arena in Bukit Jalil, a suburb in Kuala Lumpur. 12:20 IST: Kidambi Srikanth loses 13-21, 13-21 to Kento Momota. 12:18 IST: Looks like Kento Momota is well on course to register his 21st consecutive win. Kidambi Srikanth is struggling to keep up with his Japanese opponent. Momota leads 17-11 in the second game. 12:13 IST: Kidambi Srikanth is having a really hard time against Kento Momota, who looks absolutely unstoppable. Momota still maintains his lead by 12-7. 12:09 IST: Looks like Kidambi Srikanth is finding it quite hard to regain his focus. Kento Momota is proving to be too quick for his Indian opponent. Momota leads second game 9-4. 12:05 IST: Kidambi Srikanth's defense has been quite disappointing in the match so far. Momota opens up a 4-point lead in the 2nd game. It's 6-4 to Momota in the 2nd game. 12:02 IST: Japan's Kento Momota starts the 2nd game on an even brighter note. Takes 3-0 lead vs India's Kidambi Srikanth. 11:59 IST: Japan's Kento Momota wins the first game 21-13 vs India's Kidambi Srikanth. 11:58 IST: Japan's Kento Momota is being quite deceptive with his shots. India's Kidambi Srikanth is finding it hard to stay in the first game. Momota leads 19-13. 11:55 IST: The rallies are getting longer now but Japan's Kento Momota still holds the edge over India's Kidambi Srikanth. Momota leads 17-10 in the first game now. 11:51 IST: Looks like Kento Momota is running away with the first game. Three straight points for the Japanese shuttler as he extends his lead to 13-9 over Kidambi Srikanth. 11:47 IST: Kento Momota opens up a two-point lead over Kidambi Srikanth with consecutive forehand drives. 11:42 IST: Good start for Momota. He takes 5-3 lead early in the first game. 11:40 IST: Hello and welcome to live updates of the men's singles semi-final between India's Kidambi Srikanth and Japan's Kento Momota. The Indian had also beaten the French in three games at All England Championship this year. 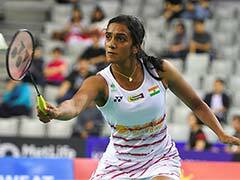 The 25-year-old will take on former world no 2 and 2015 world championship bronze medallist Kento Momota, who has been in sensational form ever since making a comeback after serving a one-year ban by Japan Badminton Association for gambling at an illegal casino in 2015. Momota clinched the Macau Open and Dutch Open last year besides reaching the finals at Canada Open. He won the 2018 Asia Badminton championship and was also unbeaten at the Thomas Cup. Srikanth will have a tough task at hand as Momota will be extra motivated to earn back his respect as it was here two years ago that he had to concede a second round match after the news of him and compatriot Kenichi Tago gambling at an illegal casino broke out.